Who Profits From Short Sales? A short sale means the seller or the seller's agent sells the home to a buyer at or near market value, and the lender agrees to accept the proceeds as payment in full on the mortgage, even though the sales price is less than the existing encumbrances. The downside is lenders are not required to negotiate discounted payoffs, and there is no guarantee your lender will let you do a short sale. For home sellers who underwater on their home, it's not as bleak as it might sound, but most short sales don't let the seller make a profit. 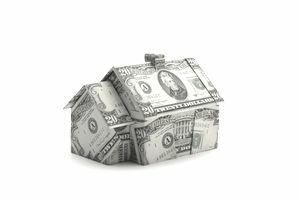 Some banks will pay sellers a relocation incentive and some programs offer special incentives, but for the most part, a seller doesn't pocket the sale proceeds. Who Makes a Profit on a Short Sale? The question is if the seller isn't making any money on a short sale, who is making money? The truth is everybody under the sun will make money on a short sale except the seller. Existing mortgagee gains an advantage but not necessarily a profit. The existing lender avoids filing foreclosure, carrying the property on the books when nobody bids at the auction and spending time looking for its own buyer. Listing agents and buying agents profit from a short sale. Granted, the agents may take a hit on the commission because the lender could insist on a fee reduction, but the bottom line is the agents and their brokers get paid for selling the property. Title companies profit from a short sale. The title company issues an owner's title policy in favor of the new buyer and an ALTA policy in favor of the new lender. In some states, title companies provide abstract services instead; regardless, they get paid. Escrow companies profit from a short sale. In states where escrow companies act as an independent third party in real estate transactions, these companies come out ahead, too. They get paid by the lender or the fee is divided between the lender and the buyer. Real estate lawyers can profit from a short sale. Sellers of short sales should always seek legal advice before entering into a contract to sell on a short sale. So, the lawyers get paid. Some lawyers specialize in negotiating short sales and charge for that service. Tax consultants and CPAs profit from a short sale. Sellers of short sales should always seek tax advice before entering into a contract to sell on a short sale. There could be tax ramifications due to debt forgiveness. The Internal Revenue Service may profit from a short sale. The IRS will collect its fair share if the lender issues a 1099 form to the seller, providing the seller is subject to taxation on the short sale. The buyer may profit from a short sale. It's likely the buyer purchased the property at or a bit below market value, which lowers the buyer's basis in the property. Depending on state and county jurisdiction, it might lower its future taxation by the tax assessor. Regardless, the buyer's mortgage payment is reduced because the loan amount is lower. The new lender makes a profit on a short sale. The new lender makes money because a new loan generates new business and new revenue. A new loan pays the underwriter and loan processor as well. The appraiser profits from a short sale. Even though the property may be selling for less than market value, the new lender will require that the buyer obtain an appraisal. Appraisers can earn $250 to $650 for an appraisal. The new mortgage broker profits from a short sale. If the buyer's loan involved packaging by a mortgage broker, that person will be paid points on the loan. Plus, the YSP could yield an even bigger paycheck to the mortgage broker. County tax assessor may profit from a short sale. In areas where a property is reassessed upon sale, the tax assessor will continue to collect property taxes on a timely basis and perhaps at a higher assessment value due to the resale price. Refinancing a loan doesn't usually affect tax assessments. Insurance companies profit from a short sale. The buyer's insurance company picks up a premium for insuring the buyer and the new home. In addition, the insurance agent earns a commission on the homeowners insurance policy. Still, there's one really good reason for a seller to do a short sale — your credit score may not drop as much as you think.